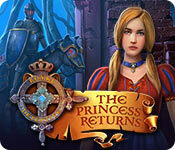 Royal Detective: The Princess Returns is rated 3.3 out of 5 by 13. Rated 5 out of 5 by bessiegirl from enjoyable game Story line isn't new, but the game was smooth flowing which is always welcome. HOS were different which made them fun..not hard and not super easy. Puzzles, well I skipped almost all...I'm not a puzzle lover (I don't have the patience for them), but I felt these were either tedious, hard or not well explained. Puzzle lovers will love them. The inventory did get loaded up sometimes, but items were often used multiple times at one site so that worked. Transporter map was great and you needed to use it as the game did jump around a bit...which I didn't mind because it was always a smooth transition. I didn't feel the the game was "super easy", I've been playing these games for years and felt it did have its challenging moments. Probably some felt it was easy because it was so smooth flowing. Time wise, it wasn't so long you lost interest or the story line got lost...just right for me. If you want a game which is fun to play and doesn't frustrate you, this is a good one. 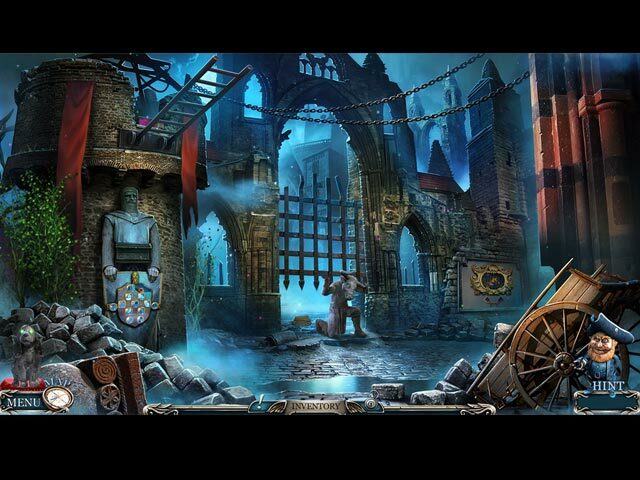 Rated 5 out of 5 by DeadRiver from Fabulous Hidden Object Game Based on the Demo. This hidden object game was a lot of fun. I had a little stone dog with green eyes named Sheriff to help me in my travels and the hint/skip button was a cute little character. The hidden object scenes were well done. I don't care for the dialogue ones, where one of the characters is relating an incident and I have to find the highlighted items. I much prefer the list type. Both are in this game. The mini puzzles are varied, from relatively easy to relatively hard to complete. All were very well done, with easy to follow instructions. I loved this game and it was an immediate buy for me. The graphics, art, and animation were first class. The soundtrack was fabulous with beautiful music and well done voice overs. There were many interesting locations to check out. The characters and scenes were very detailed and interesting. This game is a lot of fun. Rated 4 out of 5 by Majestyx12 from I used a coupon from buying CE's and now I like it When I did the trial for the CE of this game I thought too many puzzles and it does have a lot of puzzles but from Feb 18 to now June 18, (that's how long between I played it again) I found that it's a nice game well worth a coupon. It has pretty hops. I liked a few puzzles. I liked my companion dog Sheriff. I found my way around with the map. I was happy to see characters from the other games in this series because it all ties them together, like the pirate, miner and goblin. Missed the stone rooster. My favorites from this series are The Lord of Statues, Queen of Shadows (graphic very old) and Borrowed Life in that order. I wasn't big on Legend of the Golem. Try it for yourself. Rated 4 out of 5 by deddu from STONE STATUES The graphics were excellent. 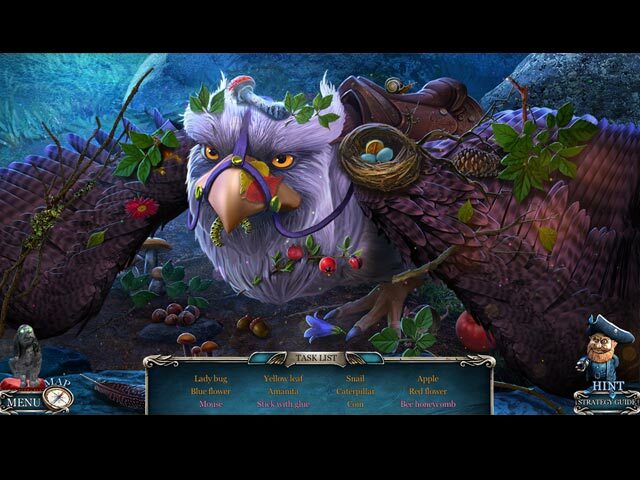 I enjoyed the mini-puzzles (some were rather hard) and, of course the hidden objects had good variety. I would have given it 5 stars but for all the back and forth, although the hint key does let you transport. I wish the developers would make the game in a more linear fashion. I did like the maze with the stone dog. Rated 4 out of 5 by biscuitsmama from PRINCESS IS BACK AND SHE NEEDS YOUR HELP! The Princess Returns is the fifth game in Royal Detective series and of course you play the game as the “Royal Detective”. You are surprised when you answer your door to find a small stone dog carrying a letter to you from your old friend Princess who asks for your help. Princess is now in the abandoned quarter of a town called Stone Peaks and she tells you that her little dog Sheriff will take you to her. Of course you immediately head off to Stone Peaks to meet Princess but when you arrive you find she is missing. Will you be able to find Princess and save her from a kidnapper whose desire is to steal her magical powers? The graphics are excellent and even though sometimes they appear a bit cartoonish they are for the most part quite good. The voiceovers are very good even though the accents are not correct for the game setting. We do have Sheriff tag along with us throughout the game to fetch and perform other tasks as needed but I didn’t find him too objectionable but that being said, I would have preferred him to be a bit softer. I did happen to find some of his antics to be cute and because he is fairly silent I didn’t notice them right away. When I tried the demo of The Princess Returns I wasn’t sure that I wanted to add this game to my collection but as I continued to play I became wrapped up in the game and couldn’t resist that “buy” button. The storyline is really nothing new but I loved the puzzles in the game. 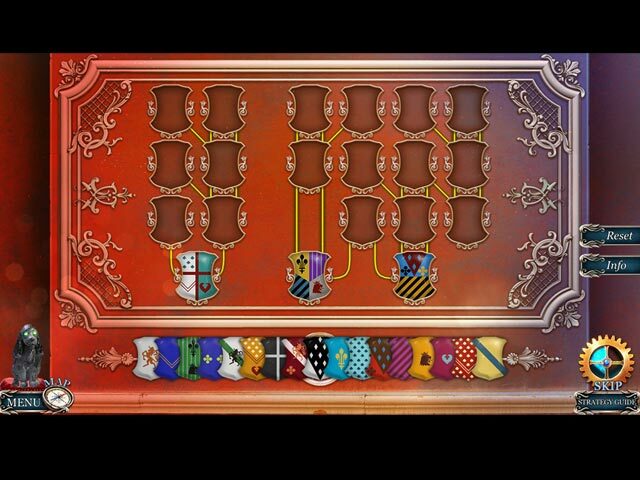 One of the first puzzles is a challenge and I think I must have spent a good twenty minutes solving it. That puzzle was one of the reasons I purchased the game. Some of the puzzles are nothing new but I haven’t seen them in quite some time so it was fun to refresh my solving skills. There is not too much to say about the HOPS except that I did find them well-designed and fairly creative with some variety in style. I enjoyed the list type HOPS since they are my favorite and I was happy to see that there are quite a few of those. Since I have been playing the game off and on most of the day I can say that I have truly enjoyed it. The game isn’t the best one I’ve played recently but it is still very good. As I noted above, the puzzles have been the best part of the game for me. I think this will be a game that will have mixed reviews as we don’t all have the same taste in games. However, I do recommend that you try the demo and give the game a fair chance because it might surprise you. Happy Gaming! Rated 3 out of 5 by cathybobcat from COMPLETED GAME Did not like this when I played the CE demo, but decided to us a pcc on this SE. My opinion has not changed very much. There were way too many puzzles and what was worse is the constant going back and forth collecting and using inventory. It was excessive and exhausting taking away from the enjoyment of the gameplay. The stone dog helper with the glowing green eyes, Sheriff, would have been ok, if he hadn't been chasing his tail so much. I found him very annoying and distracting as well as the jumpy pirate hint. It was driving me crazy. Players don't need to have this kind of distraction when trying to concentrate on a game. The graphics were excellent and a few HOS were exceptionally artistic and beautiful...even in the story book type. There was a beautiful mosaic that I completed so fast because the items were so visible....a disappointment, as it was therapeutic to view. It was the same situation with a FROG (fragmented object). They put a great deal of effort into their attractiveness, but not the challenge. Other than that, there were mini hos with just a few items to find...nothing to them. The puzzles far outweighed the hos as usual. I would have definitely bought this in a CE had there been as many large HOS as there were puzzles just for the artwork and replay. The length of the game was decent even though I skipped most of the puzzles. The story was ok, but sad at times. I couldn't wait to get it over with though, because of all the wasteful running around and puzzles. All in all, it isn't bad for a sale or pcc. It is not the best game, but far from being the worst. Rated 3 out of 5 by campingramps from This one kept me interested This is one of those games that is not that action packed but you want to see what happens. It's a tedious game and could lean toward the boring side but it has just enough differences to keep me playing. Graphics are nice and pleasant to look at and, for once, are not dark. I'm glad to see someone has some color in their palette. The only big problem I have is with the villain. He is dressed in black but he is far from scary. He's more of a nuisance than a baddy. All in all, I enjoyed playing the demo but to the point of buying? I don't think so. Needs a little more action for me. Still, I will recommend it because it has some redeeming features. Rated 3 out of 5 by karenmusik from Please do not call your child Princess I'm sorry, but a character named Princess who falls in love with someone named Prince just turns me off. Add the fairly boring puzzles and I'm just not that into it. I enjoyed these games before, but not today.